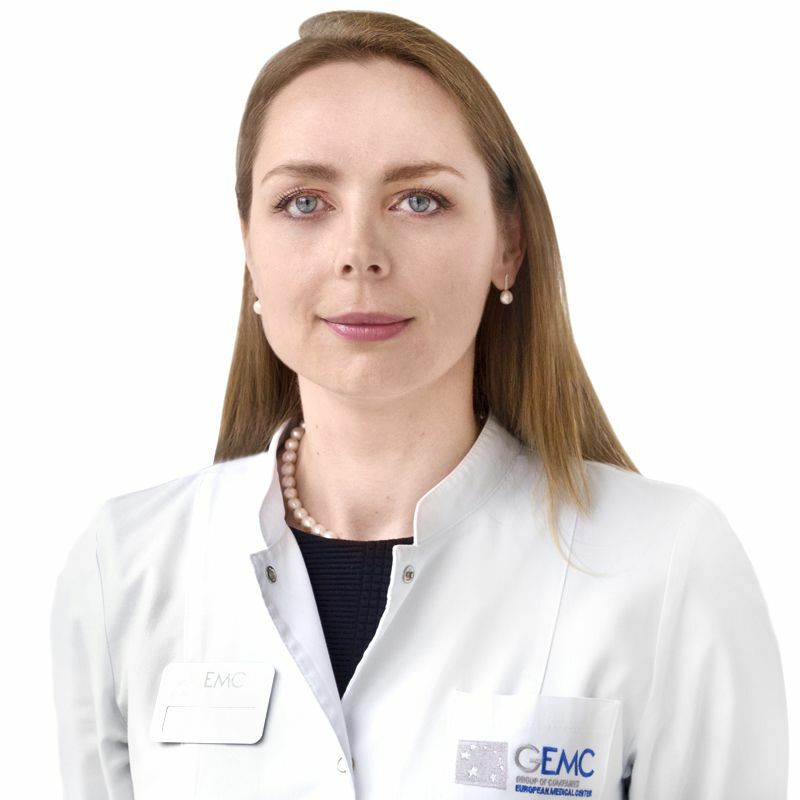 MOTOVILOVA Ekaterina, Doctor EMC. Make an appointment, ask a question. In 2007 Dr. Motovilova has graduated with honors from the General MedicineFaculty of the Kursk State Medical University. In 2008-2009 she confirmed her medical diploma with the right to practice and completed an internship at the clinic in Malaga (Spain). In 2010 she graduated from the clinical residency in the specialty of "Neurology" at the clinic of FSBI State Scientific Center - Federal Medical Biophysical Center n. a. A.I. Burnazyan of the Federal Medical and Biological Agency of Russia (Moscow). Dr. Motovilova is a specialist in acute and chronic headache treatment, including bilious headache, acute and chronic cerebrovascular disorders (stroke, stroke sequels, discirculatory encephalopathy), acute and chronic back pain, autonomic nervous system, disorders, vertebrogenic lesions of the peripheral nervous system, paroxysmal disorders (syncopal conditions, epilepsy). She was trained and certified in botulinotherapy (administration of botulinum toxin type A for treatment and correction of headache, migraine). Dr. Motovilova has a knowledges in additional diagnostic techniques: electroencephalography (EEG), stimulation electroneuromyography (EMG) for the detection of tunnel syndromes, peripheral polyneuropathies of the upper and lower extremities.